Please use this form to request a quote for your new custom skylight shades. Fill in the form below and submit it. You will receive a final quote including shipping and handling via email. (Please allow 24 hours). Fill in the form below. Print a copy of the order form below and fax to 724-763-3601.You will receive a final quote via email. For Repairs - (Re-Cording only) - Send us email with shade type and dimensions for a price quote. Payment must be made in advance or prior to shipping. Our quotation will also contain payment options. We accept Visa/Mastercard. 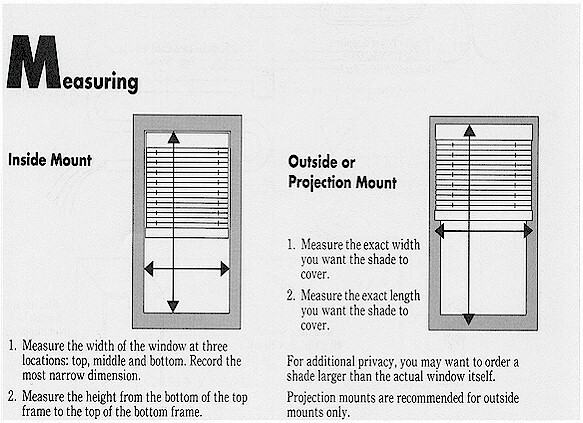 Valid sizes for skylight shades. OEM Shades Inc. will not be responsible for your color selection! All sales will be final. We will not accept any returns due to color dissatisfaction. If you are not sure of the fabric color, you must obtain a sample swatch from us to make your decision. Do not rely strictly on the color as displayed on your monitor. Different monitors and monitor settings will display colors differently. Freight and Handling All orders will be shipped FEDEX ground.